Wellness & Spa bathrooms can be so much more beneficial than a normal bathroom, a dedicated relaxation experience which can be enhanced with the addition of powerful intelligent shower, steam and sauna elements. With just a few clever additions, these key items can be added to any luxury development or private client project, changing the dynamics of the room . An integrated space for shower seating is the perfect area to have moments of relaxation in your wellness area, can easily turn a simple bathroom into a spa like tranquility room, where you can escape off to when you need to recharge. An overhead waterfall shower can bring nature into your bathroom, mimicking the natural rain of outdoors into your warm indoor enclosure. You can relax underneath this waterfall and take time for yourself to simply feel at one with nature and concentrate on your own health. Multiple shower heads and jets can be designed to be combined and can all work together simultaneously, for a vigorously drenched effect . 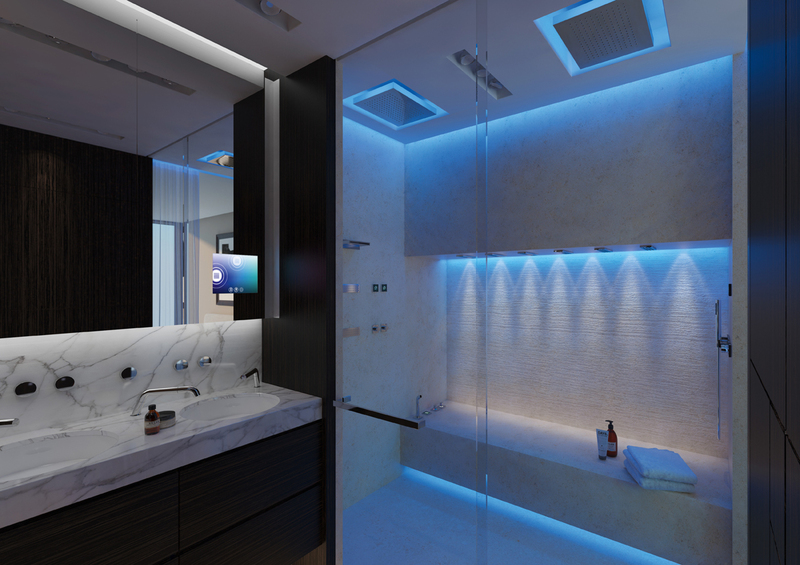 Adding sophisticated lighting to set the atmosphere is an excellent addition to any luxury bathroom project, especially a wellness spa area, the colours allow you to set the mood and help promote wellness and relaxation. 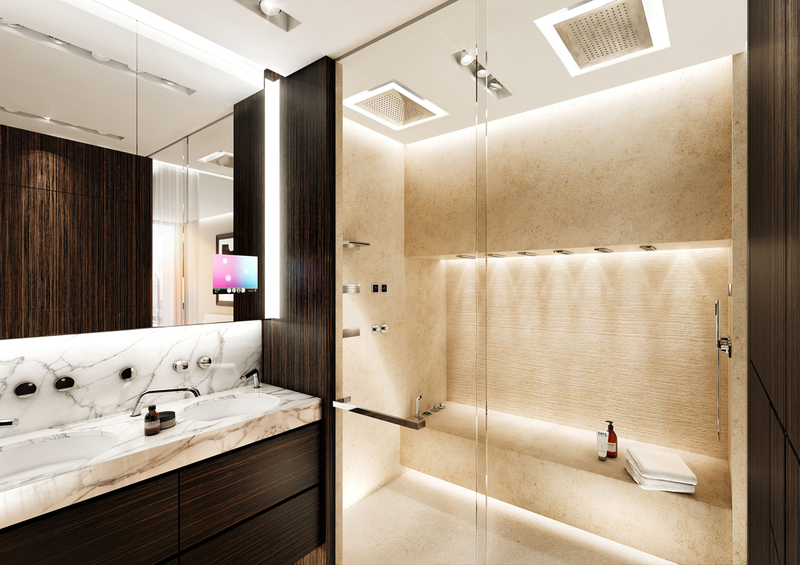 Paired with waterfall shower systems, this combination can really create a tranquil wellness room, adding value in any luxury development or private client project. Here at Concept we have a dedicated in house design team available, to consult on the perfect solution for your luxury development or private client project. 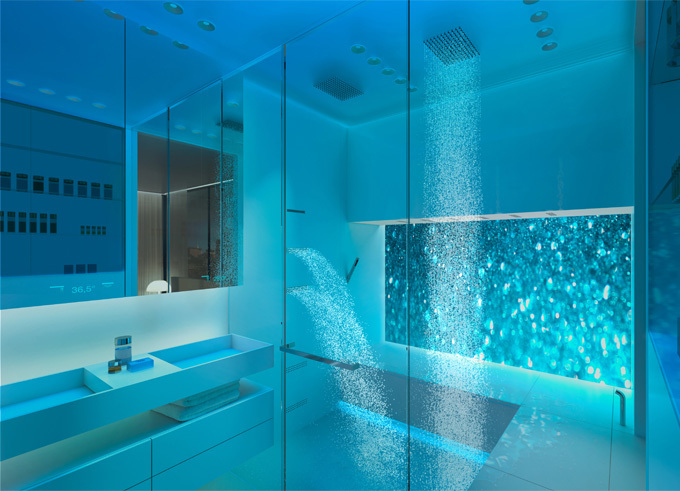 By appointment we are happy to talk through you initial requirements as a part of our detailed bathroom design process. This entry was posted in Luxury Bathrooms and tagged Detailed Bathroom Design, High End Spa Bathrooms, luxury bathrooms, Sauna Design Beaconsfield, Spa & Wellness Bathroom Design, spa showers, Steam & Sauna Bathroom Design, Steam Showers Ascot, Steam Showers Beaconsfield, Steam Showers in Henley on Thames, Steam Showers Marlow, Steam Showers Virginia Water, The Best Shower Rooms, Waterfall showers, Wellness bathrooms. Bookmark the permalink.